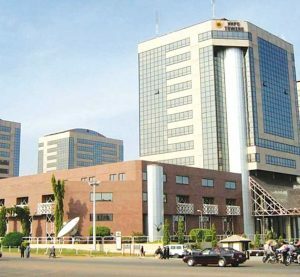 NNPC Declares profit of N250 Billion. Group Executive Director, Finance and Account of the Nigerian National Petroleum Corporation (NNPC), Mr. Isiaka Abdulrazak, said the corporation made a trading profit of N250 billion in 2016. Abdulrazak said this in a quarterly publication of the NNPC, a copy of which was obtained by NAN, on Tuesday, in Abuja. According to him, his office inherited 65 unaudited financial statements between 2011 and 2014. He said that though, there were challenges that led to the backlog, a Project Steering Committee chaired by him was constituted to meet with auditors and all relevant stakeholders to identify and isolate key challenges and give them priority attention. Giving an insight into how he was able to clear the corporation’s unaudited accounts from 2011 to 2016, Abdulrazak said this figure was up from a deficit of N123 billion in 2015. “In August 2015, when the present management of the Finance and Accounts Directorate took over the mantle of leadership, we inherited a total of 65 unaudited financial statements for NNPC corporate and its subsidiaries covering 2011 to 2014. “The major elements consist of a review of the Group Audited Financial Statements, particularly for 2016 reveals a positive shift to a trading profit of N250 billion from a trading deficit of N123 billion in 2015, indicating a 300 per cent improvement in trading performance. “This is despite the decline in the average price of crude oil to as low as 345 dollars per barrel in 2016, compared to 51 dollars in 2015, and 110 dollars in 2014,’’ he said. He said it was also critical to point out that the 2016 result was a reflection of management’s philosophy to enhance profitability by forcing down costs and improving revenue generation. “For example, we have discontinued sub-commercial business arrangements such as offshore processing arrangements, disadvantaged crude for product exchange swap and poorly-managed strategic alliances. “To improve revenues, there have been a number of new initiatives such as the introduction of Direct Sale Direct Purchase, a 20-25 per cent cut on all commercial contracts among others. “Also, revenue analysis shows a 10 per cent increase from N2 trillion to N2.3 trillion between 2015 and 2016. “Further analysis shows a 75 per cent increase in petroleum product sales from N820 billion to N1.4 trillion, attributable to the partial deregulation of petrol price,’’ he said. According to him, the statement of financial position has been riddled with persistent losses over time and this had eroded shareholders’ equity. “You will recall that I mentioned that the Group trading performance improved to N250 billion trading surplus in 2016 compared to a trading deficit of N123 billion in 2015. “However, the Group ended with a net loss position mainly due to NPDC revenues shut-in as a result of the security situation in the Niger Delta in 2016, and exchange rate losses among others. “The Group results would have been positive without these factors,’’ he said. He said the directorate under his watch had recorded successes in areas like managing foreign exchange intervention pool for importation of petroleum products and savings on insurance premiums. “This has so far led to more than 340 million dollars year-on-year savings in premiums payable over the period of 2015 to 2018 (about 45 per cent) effective reduction in year-on-year premiums. “Other successes include reducing the unwieldy number of accounts managed by the corporation from more than 2,000 to a little fewer than 200. All the old accounts under commercial banks have been fully reconciled and closed. “Another is the settlement of the cash call arrears and self-funding mechanism for joint venture operations, successfully negotiating an agreement 6.8 billion dollars to 5.1 billion dollars, a 25 per cent drop and the implementation of the self-funding mechanism for upstream joint venture operations for the federation. He said the outlook for the next strategic business period would be to focus on –partnering with the corporate services directorate to optimise the utilisation of enterprise resource planning, infrastructure and architecture to provide an end to integration of NNPC business processes. “Secondly, we are also focusing on delivering on the blueprint of making the corporation initial public offer ready. “This will involve principally cleansing our legacy financial data and balance sheet restructuring as well as profitability.